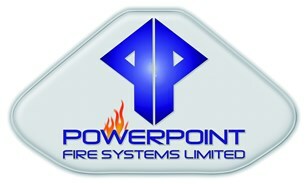 PowerPoint was formed in 1995 to meet a need in the market place for a technically specialised and dedicated Fire Alarm Company now with over 60 years’ experience within the industry. Fully approved ISO 9000 & Bafe SP203 Company. Within all aspects of the Industry, we provide a full range of services, from design, manufacturing and installation through to service, support maintenance and commissioning of systems and providing a 24hr 365 days a year service and support. We endeavour to provide high quality, cost - effective solution in response to a constantly changing market in which our clients operate and specialise in large multi panel systems like hospitals and shopping centres which generally require a higher level of support than most normal systems. As an example one of our engineered solutions is a well know club in Wimbledon which currently has 22 multiloop panels and 6 graphics workstations as a complete integrated solution.